Observation - Bumblebee - UK and Ireland. Description: Looked a bit like a bumblebee but seemed to be almost white and black and could not match it. 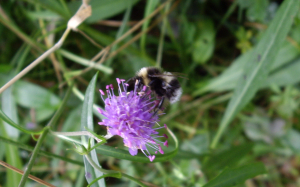 Looked a bit like a bumblebee but seemed to be almost white and black and could not match it.